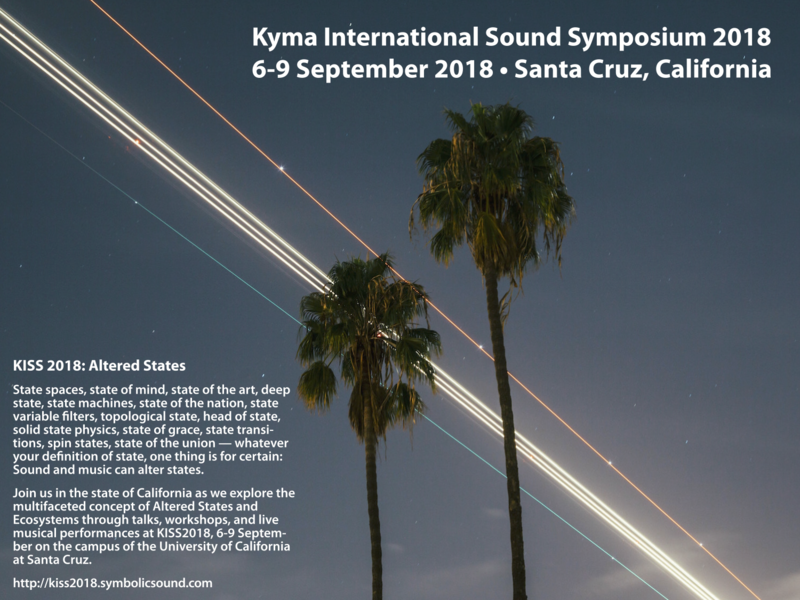 Sound designers, musicians, and sound-afficionados are invited to participate in the tenth annual Kyma International Sound Symposium (KISS2018) in Santa Cruz California from 6-9 September 2018 when Kyma practitioners at every level of experience — ranging from beginners to experts who make their living teaching, performing, and designing sounds with Kyma — will convene to present their most recent creative and technical work related to the conference theme, “Altered States” and sub-theme, “Ecosystems”. Whether they interpret “Altered States” in terms of state machines for cryptography, shamanic trance states, stable/unstable states in a dynamical system, states of consciousness along the path to enlightenment, hidden states of a Markov model, or the ways in which active-listening can inspire changes to the state of the ecosystem, there is one point on which all the symposiasts agree: Sound and music can alter states. KISS2018 will feature over 25 hours of technical sessions, discussions, and live electronic music performances showcasing some of the most thought-provoking work created with the Kyma sound design environment this year. The full KISS2018 schedule is available online. Gabriel Montufar (DJ Monti) is collaborating with the University of California, Santa Cruz (UCSC) Fencing Club to present En Garde, a unique live performance in which the movements and breath of fencers engaged in a live duel are transformed into intricate sounds intended to alter the state of the fencers and the outcome of the match. The Tower of Voices is a ninety-three foot tall musical instrument containing forty wind chimes to represent the forty passengers and crew members of United Flight 93. Artist Ben Salzman (Hamilton College) and composer Jon Bellona (University of Oregon) will reflect on the states of existence between life and death as they reconstruct the compositional processes of their late friend and mentor Sam Pellman who composed the music for this installation. The formal dedication of the Tower of Voices will be held on 9 September, 2018 in Pennsylvania as part of this year’s 9/11 observances. Kristin Erickson (aka Kevin Blechdom), Technical Coordinator for Digital Arts and New Media at UCSC, will present the premiere of her new operetta The Dolphinarium in collaboration with film and television producer, Matthew Galvin. Based on the groundbreaking research of physician, neuroscientist, psychoanalyst, psychonaut, philosopher, writer and inventor John C. Lilly, the operetta explores aspects of Lilly’s 1965 Dolphin Cohabitation experiments and his lifelong research into altered states. Carla Scaletti, president of Symbolic Sound Corporation and co-creator of the Kyma language for sound design, will welcome symposium delegates with a keynote lecture on the conference theme of Altered States in relation to sound, programming languages, memory, and learning. Italian DJ/producer Domenico Cipriani (Lucretio) is performing Predator/Prey, a living sonic ecosystem in which sounds are born, move, hunt, reproduce, and die within a quadraphonic listening space, inspired by John Holland’s Adaptation in Natural and Artificial Systems and Daniel Shiffman’s The Nature of Code. Cipriani, whose degree is in linguistics from the University of Padua, studies the relationship between functionalism and social semiotics. Inspired by Cristian Vogel´s 2016 performance at the Decipher Language party in Berlin, Cipriani’s recent focus has been digital audio programming and performing with the Symbolic Sound Kyma system. Korean composer Kiyoung Lee and pianist/improviser Ha-Young Park from Dankook University will present Turritopsis dohrnii, a live performance based on the process of transdifferentiation performed by the “immortal jellyfish”, a biologically immortal species that can literally alter the state of its own cells. Franz Danksagmüller, professor at the Musikhochschule Lübeck and the Royal Academy of Music in London and creator/performer of live electronics and sound design for John Malkovich’s “Just Call Me God”, will be performing emotional states — Lieder one Worte, a song cycle based on the utterances people make when they can’t find the right word or expression during a conversation. Robert Efroymson, software developer and CEO of the high-speed optical communications firm Dynamic Photonics, will describe and demonstrate his new Cryptographic Music Sequencer modeled after the M-209 — a WWII era mechanical encryption device. Garth Paine, Senior Sustainability Scientist and composer at Arizona State University, will present a keynote lecture on the Listen(n) project with a focus on the ways in which active-listening can inspire meaningful action toward changing the state of the environment. 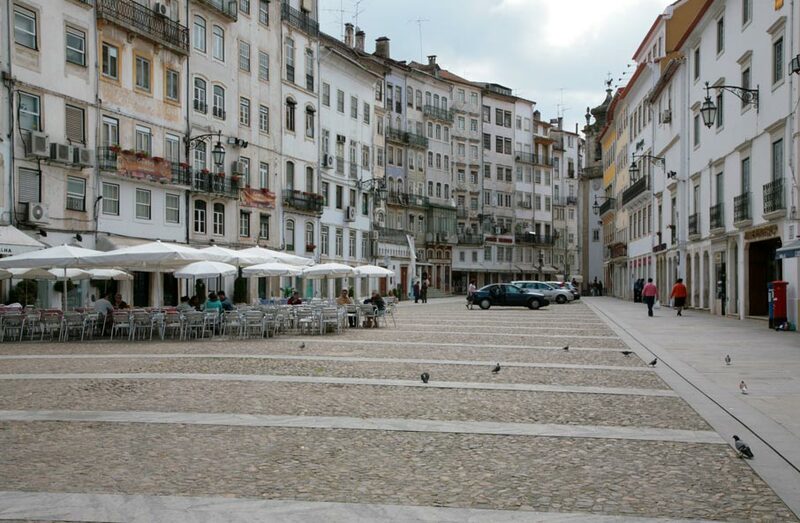 For anyone who is obsessed with sound — whether a novice seeking to kickstart their career, an expert looking to take their mastery to the next level, or someone who’s simply curious about how sound and music can alter states — KISS2018 is an opportunity to be immersed in sound and ideas and surrounded by fellow sound enthusiasts for four days and nights of intensive discussion, learning, music, and forging new professional connections and lifelong friendships. Registration for KISS2018 is open to all and includes access to the lectures, hands-on labs, lunches, dinners, coffee breaks and an opening reception and seven live performances at the UCSC Recital Hall, Digital Arts Research Center (DARC), including a special, outdoor concert among the redwoods at the Stanley Sinsheimer Glen. KISS2018 is being co-organized by the University of California, Santa Cruz (UCSC) Arts Division, the Digital Arts and New Media Research Center, and Symbolic Sound Corporation. The KISS2018 Organizers would be happy to answer your questions via email. Composer/sonologist Roland Kuit encountered the paintings of Tomas Rajlich in 1992. ‘Fundamental Painting’, a minimalist strategy that explores the post-existential nature of the painting itself – its color, structure and surface — it is simply the painting as a painting. Tomas opened Kuit’s eyes to a kind of minimalism that Kuit recognized in his music at that time when he was working with semi-predictable chaotic systems. 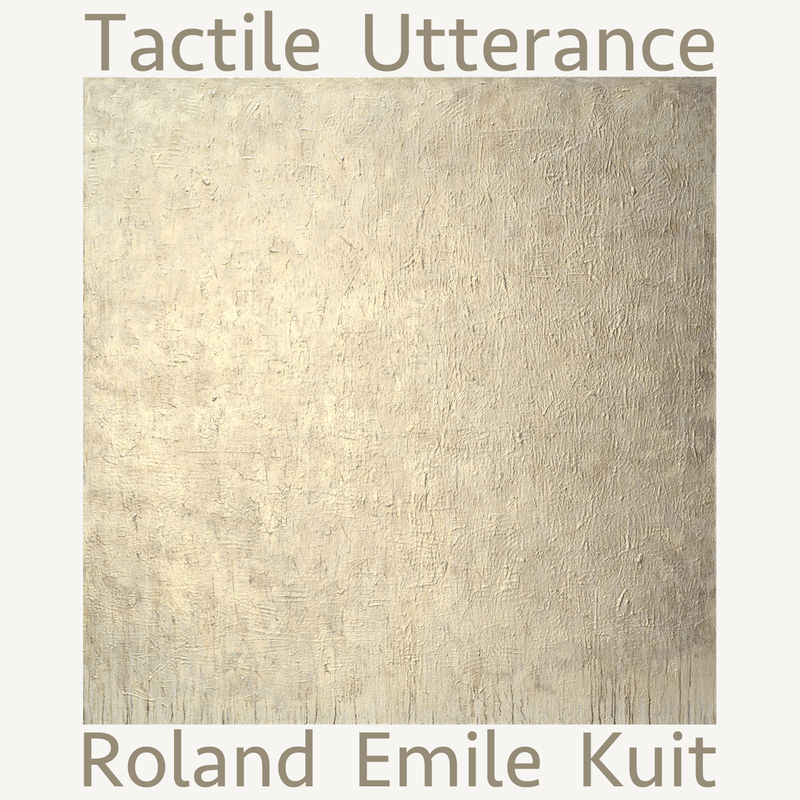 Kuit began creating works for Tomas Rajlich in 1993 and last year, Kuit released a new piece for Kyma-extended string quartet: Tactile Utterance – for Tomas Rajlich. The world premiere of Tactile Utterance took place on 23 June 2017 in the Kampa Museum – The Jan and Meda Mládek Foundation in Prague (CZ) for the opening of a special Tomas Rajlich retrospective: Zcela abstraktní retrospektiva. Composed especially for the occasion, Kuit’s three part work Tactile Utterance, expresses 50 years of painting by Tomas Rajlich. Kuit’s recent research into new compositional methods, algorithms, and spectral music came together in this work. 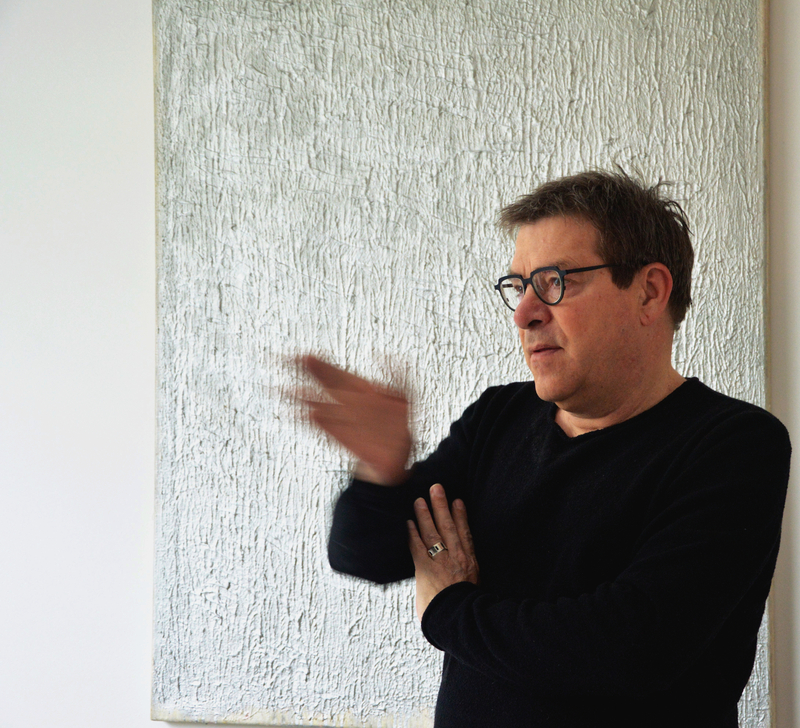 His aim was to capture the process of painting: how can we relate acrylate polymers on canvas to sound? Using bowing without ‘tone’ as a metaphor for brushing a tangible thickness of color; pointing out the secants with very short percussive sounds on the string instruments as grid; dense multiphonics as palet knifes — broadened textures smeared out and dissolving into light. The premiere, performed by the FAMA Quartet with Roland Kuit on Kyma, was very well received. 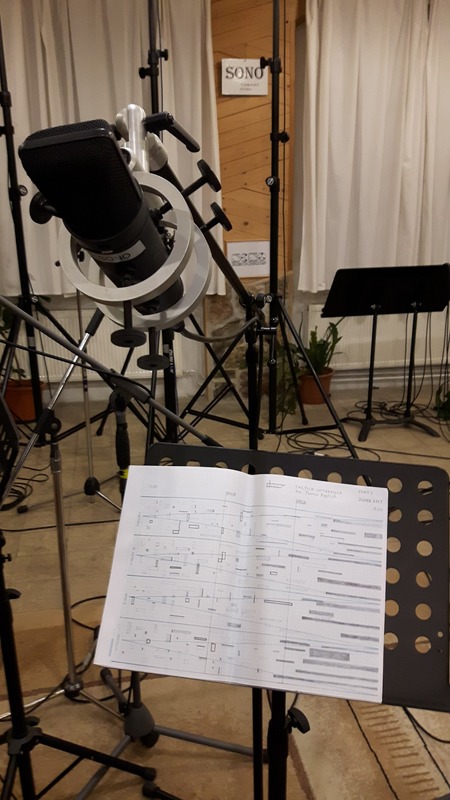 For the recording, made during 15-20 February 2018, Roland decided to record the string quartet alone and unprocessed so he could do post-processing and balancing in the studio. Recording engineer Milan Cimfe of the SONO Recording Studios in Prague used 3 sets of microphones: one to create a very ‘close to the skin’ recording of all string instruments; the second set overhead; and the third set as ‘room’ recording. Kuit took the recordings to Sweden to finish the mix and Kyma processing. From a pianissimo-bowed wood sounds to noise, to an elaborated crescendo ending in a broad fortissimo textural cluster: Kyma extends the string sounds with spectral holds. When walking by a grid, we see it first condensed – then open – then condensed again in both horizontal and vertical directions. The string quartet interprets ‘intersections’ by means of percussive sounds like pizzicato, spiccato, martelé, col legno etc. These sounds are treated as particles copied 100 times with the Kyma system, resulting in a noise wall. A ritardando to the center of the piece allows these particles to be distinguished as single sounds. With these single sounds, Roland made “spectral pictures” that could be smeared to complement the grid lines, followed by an accelerando back to prestissimo particles again. Multiphonics morphing to airy flageolets and the Kyma system processing the string quartet in algorithmic multiplexed resynthesized sounds, dissolving them into a muffled softness. In the 1700s, Neapolitan philosopher, Giannbattista Vico argued that students “should be taught the totality of the sciences and arts, and their intellectual powers should be developed to the full” so that they “would become exact in science, clever in practical matters, fluent in eloquence, imaginative in understanding poetry or painting, and strong in memorizing what they have learned in their legal studies”. In his book, The New Science, Vico drew a distinction between il vero — “the true” which is the object of knowledge (scienza) since it is universal and eternal — and il certo, “the certain” which, as the result of human consciousness (coscienza), is particular and individual. 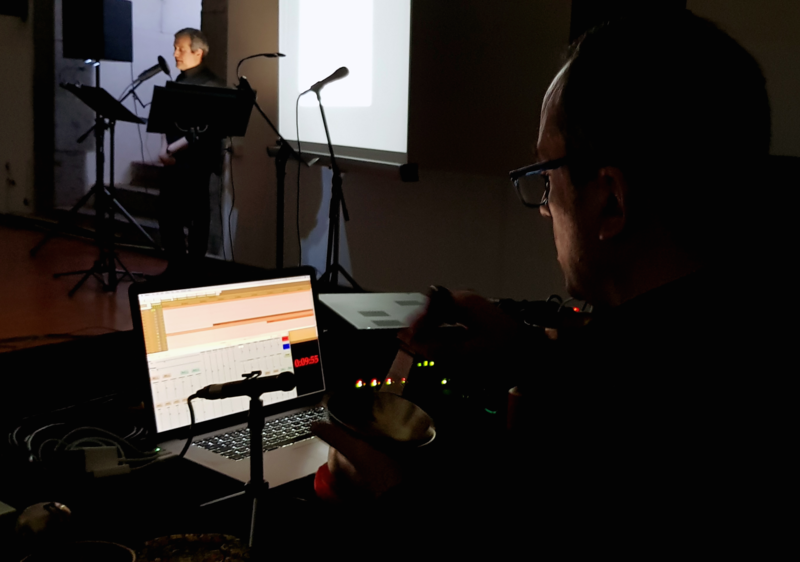 Gualtieri’s piece, Omaggio a Vico, featured Gualtieri performing live Kyma processing of texts from Vico’s autobiography chosen and recited by philosopher Rosario Diana. 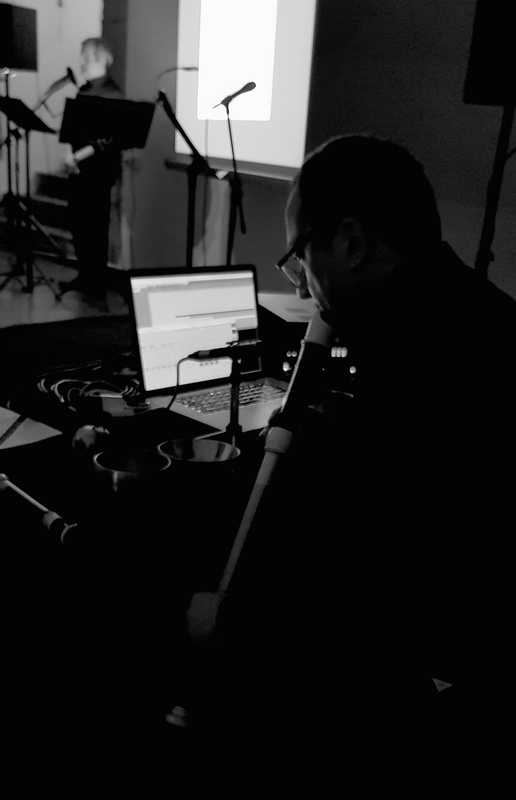 Composer/sound artist Gianluca Verlingieri utilized Kyma in two new pieces featured in two different events in Italy and UK: a world premiere fixed-plus-live electronics performance in Florence at the Tempo Reale Festival 2018 in May and a fixed-media acousmatic performance in Manchester at the EASTN-DC Week in late June 2018. Verlingieri presented the world premiere of his 30-minute Requiem da Ballo for live electronics, poet, fixed-media sound projection and custom-made “loudspeaker pipes” in Florence on 26 May at Tempo Reale, the institute founded by Luciano Berio, on a concert named Klang Musica Sperimentale #10 Parola. The second performance, Suite from Requiem da Ballo, will be 25-30 June 2018 at the EASTN-DC MANCHESTER Festival in Manchester UK. 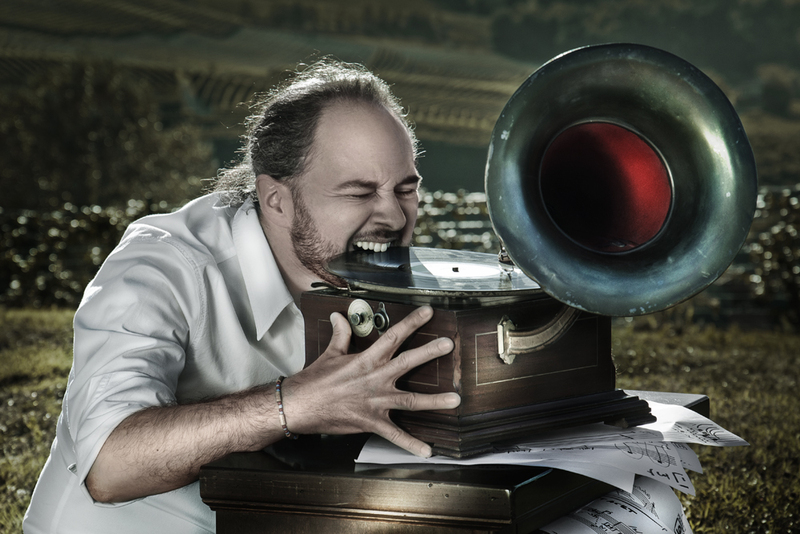 Verlingieri will perform live sound projection in 32-channel surround sound using the MANTIS diffusion system in the Cosmo Rodewald Concert Hall. Verlingieri teaches electroacoustic composition at the “G. F. Ghedini” State Conservatory of Cuneo, Italy, where he also coordinates the Department of New Technologies and Musical Language.